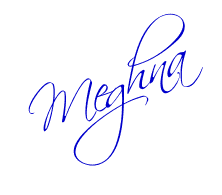 You are right on the money, Meghna. It's challenging enough to frequently write good articles and stories that you enjoy. It's even harder if you have to force yourself due to a lack of passion. @ PP- Very true. It's always easier to please yourself. This is so true. We sometimes deviate from writing what we want to writing what readers might want to read. We need to write from our hearts and hope that readers like what we have to say. Thanks for all the writting tips! Didn't you know that some people can have more than one name? Here in my country this is very common. People have one, two or even mroe names! Do people in your country only have 1 name? "I do not write for a select minority, which means nothing to me, nor for that adulated platonic entity known as 'The Masses'. Both abstractions, so dear to the demagogue, I disbelieve in. I write for myself and for my friends, and I write to ease the passing of time. "It sounds so easy, but it's difficult to do, once we get the idea of being successful in "the market". That is a really good tip.. Thank you for putting it up..